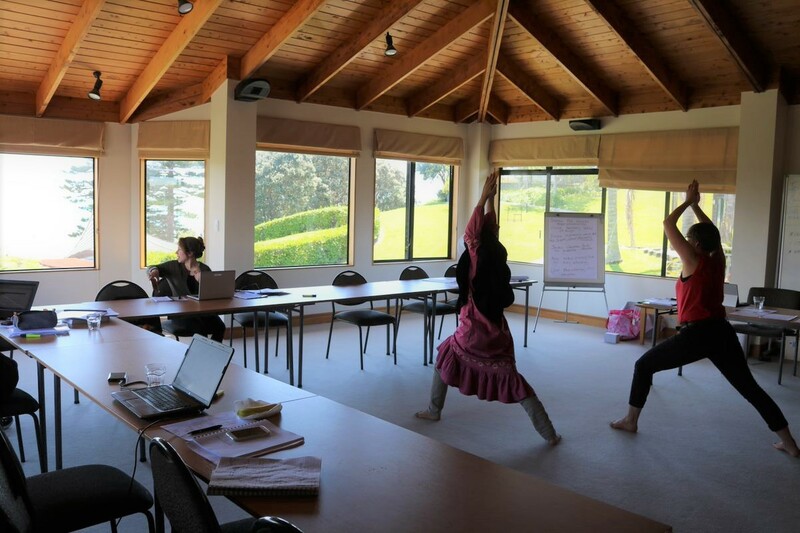 For me, it was my first time to join the AUT Writing Retreat in almost three years of my PhD journey. I thought I should join this programme in my first year during my PGR9. However, my friend Shabnam (who was one speaker to share her PhD journey in the end of this programme) told me: Najmah, you are at the right stage. 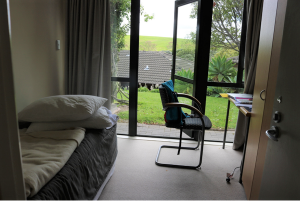 In this story, I will share what I felt, observed, and experienced during the Writing Retreat, 5-8 November 2018 in Vaughan Park, Long Bay, Auckland. The atmosphere is what I missed after I returned home and performed my writing in my space again with my three little kids. Every participant in this programme has a different topic and research approach. However, we can still sit together and share our experiences during our research journey. Some participants shared their creative methods to make a story of their research writing; another shared how to use a software package to listen to a PDF document (including to listen your own writing). This programme also provided consultation with our tutors, Dr. Julie Trafford and Associate Professor Jennie Billot. I meet Julie three times, and my friends met Julie and Jennie at different times within the programme. We had up to one-hour sessions for individual consultation, so you can share your own journey and challenges with these great and experienced tutors. In addition, there were also some short classes, like how to writing great paragraphs, what examiners look for, editing and peer review, and guidance for writing the PGR9. You can choose which short training sessions (1 hour) you are interested to join. I observed some participants maintaining their health with exercise. 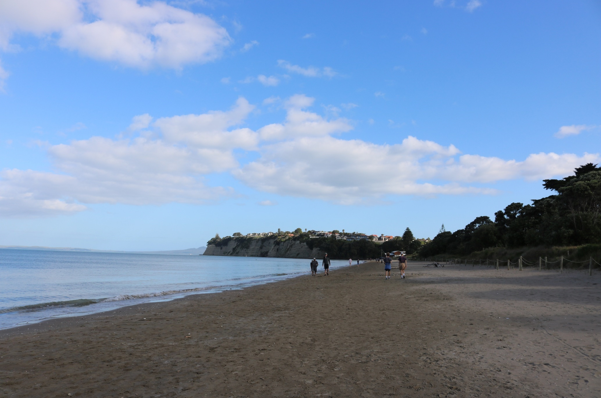 We can walk or run on the beautiful Long Bay beach, swim, do yoga, or other exercises. You can feel how this beautiful environment supports our mood in writing. Long Bay beach is just two minutes from Vaughan Park. Additionally, participants Lisa and Olivia taught us how to do simple exercises after you do your work. These simple stretches help to prevent (or recover from) back pain. Thank you Lisa and Olivia. 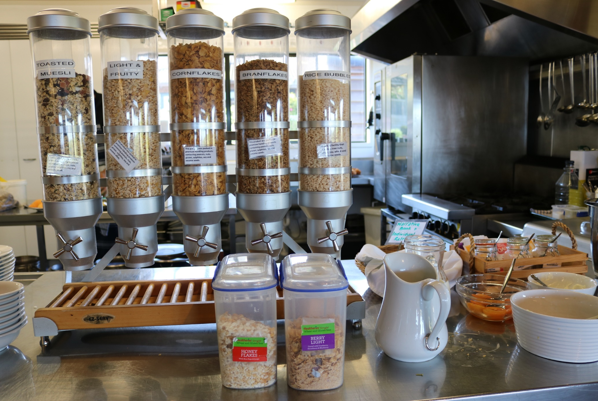 The Vaughan Park chefs provided such healthy food for breakfast, morning tea, lunch, and dinner. You will not be hungry. 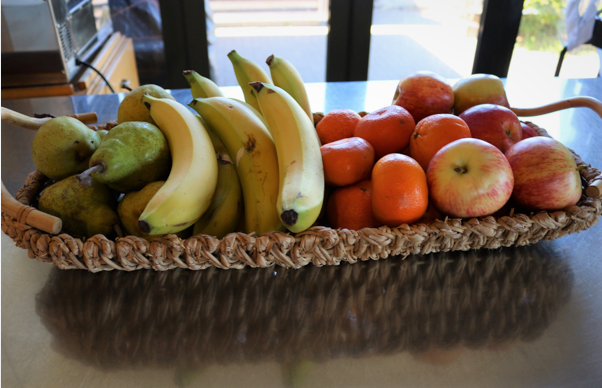 If you have special dietary requirements, the chefs will provide for you; you just need to write this concern on your Writing Retreat application. Delicious coffee is also provided if you want your eyes to wake up. You just need to bring $1 coins if you want a special coffee to treat yourself. Also you do not need to bring a lot of clothes, as they provided us a house just like our home. There is a washing machine, a nice living room and small kitchen, and some candies too. I shared with other six participants in a nice house in this Vaughan Park. 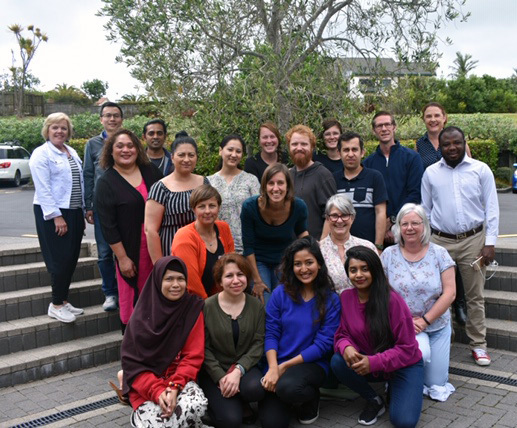 Thank you to AUT and the Graduate Research School to providing us such an excellent and fun experience for FREE during this Writing Retreat, 5-8 November 2018. Vaughan Park is a lovely environment to support our writing process. For my beloved husband, Kusnan, thank you for taking care of our Queency, Adilla, and baby Muhandas during this programme. For others, don’t forget to apply for a writing retreat in 2019. 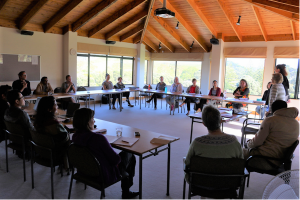 Editor’s note: the next Graduate Research School Postgraduate Writers’ Retreat is scheduled for 1-4 April 2019. 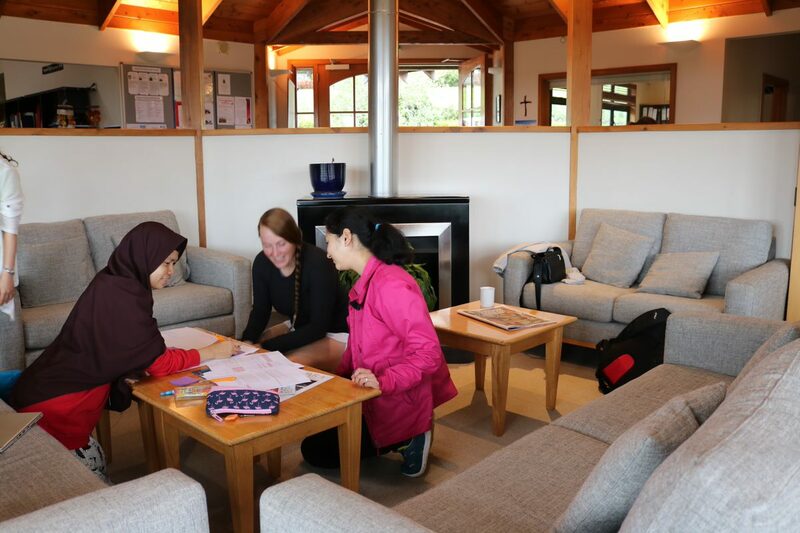 If you would like to apply to attend, download the application form here and submit your completed form to the Graduate Research School at grs@aut.ac.nz before the closing date of 22 February.